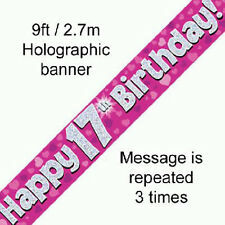 5 out of 5 stars - Eleganza Pink Blue Holographic Foil Birthday Banner Bunting Balloon Age 1 - 80. 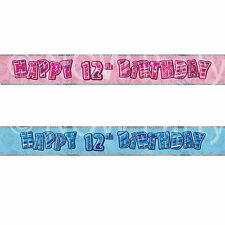 1 product rating1 product ratings - Eleganza Pink Blue Holographic Foil Birthday Banner Bunting Balloon Age 1 - 80. Banner Size 1270 x 500mm (50" x 20"). 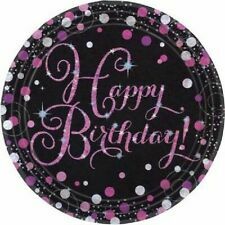 Pink Celebration Party Collection. Prismatic Letter Banner. 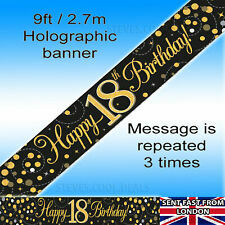 Banner is quite a large size. In Sparkling Pink - Prismatic Finish. Letters are 16 cm tall.